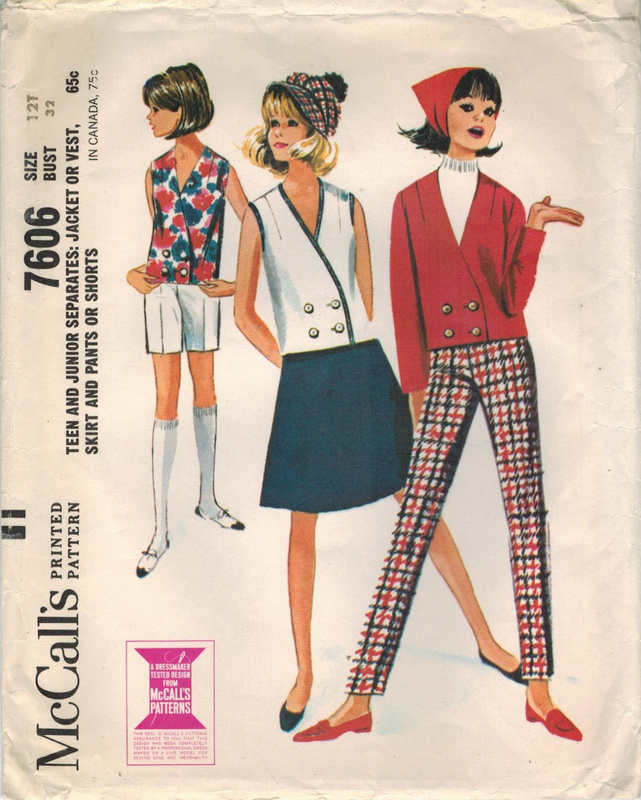 These two patterns (and images from a McCall's fashion flyer that illustrate them) provide popular teen fashion from 1964. 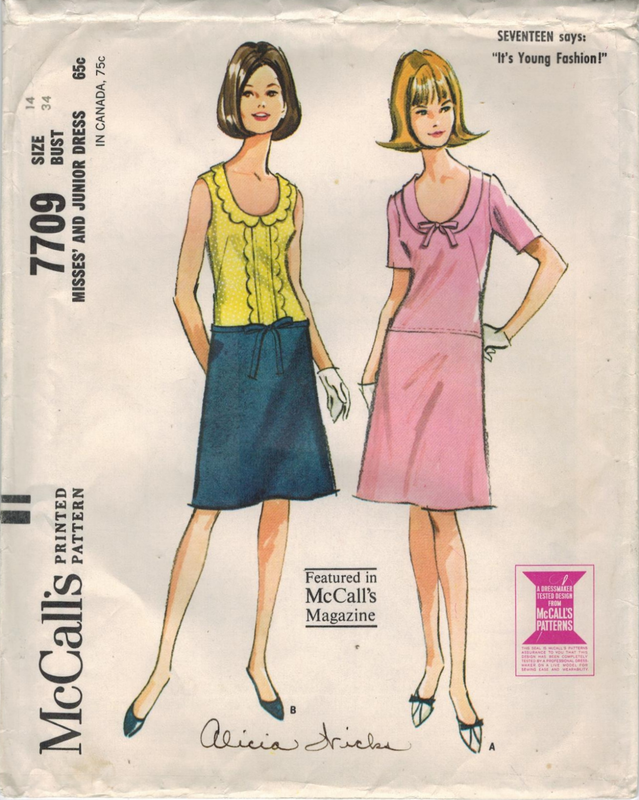 Perfect for spring and summer, they are easy to sew, provide flattering fit, and are simply an inspiring style in a fast-moving decade that loved all things sleek and modern. Hemlines aren't "mini" yet, but just wait a few years. ;) Read on! 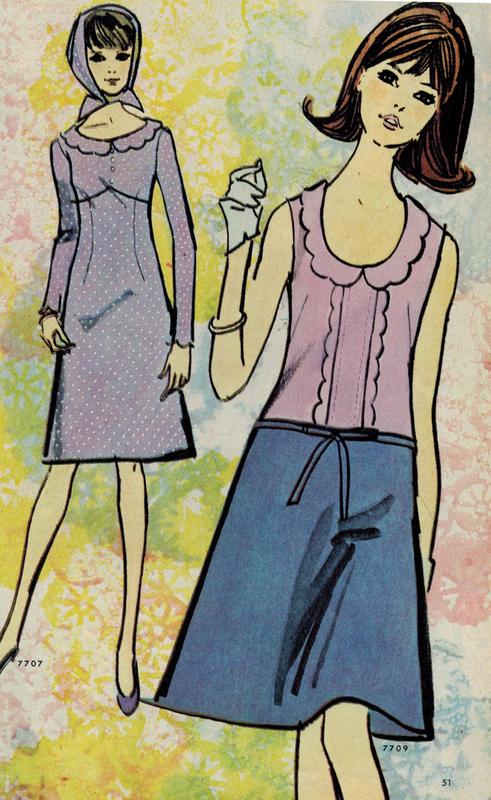 This dress with a drop waistline illustrates the "new standard" of the A-line in skirts and dresses, which became enormously popular in the 1960s and well into the 1970s. The scalloped edging adds an extra "cuteness factor". 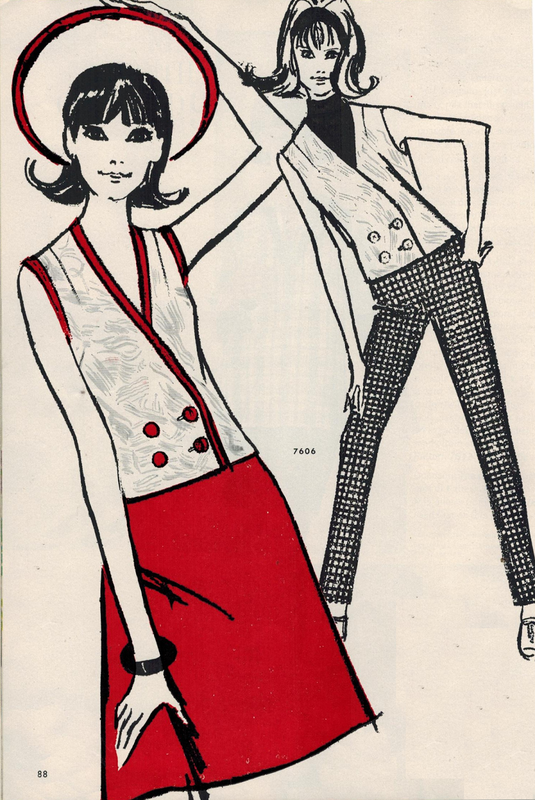 This pattern for a sporty ensemble shows the slim, skinny lines in pants in the 1960s (a significant trend), and includes the popular A-line skirt. Check out this pattern in my Etsy shop.